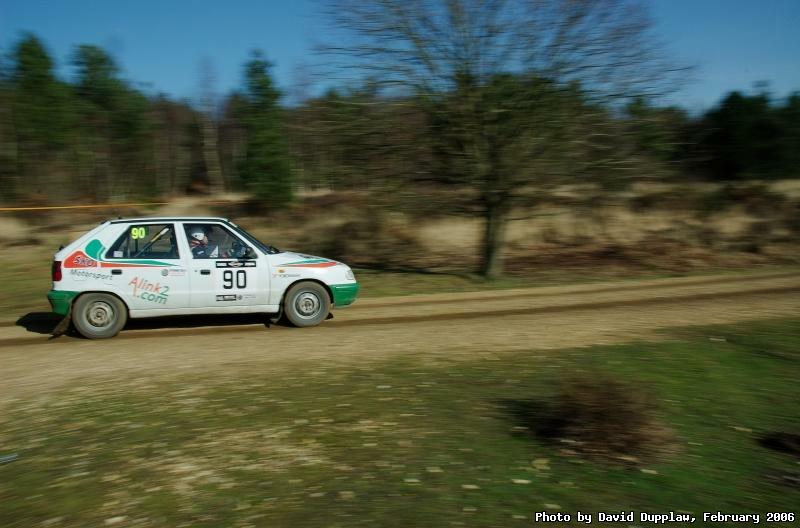 A Skoda Felicia flying down a straight gravel track in Whitesheet Copse during the Rallye Sunseeker 2006. This was Darren Jones and Paul Burley who were the very last competitors in the starting order. I tried here to get the feeling of movement by keeping the shutter speed slow, but by using wide angle. It's given a strange circular blur pattern which I kind of like, while showing the speed of the cars and how close we were able to get as spectators.